Exporter of a wide range of products which include mixer blender, cattle feed blending machine, chemical mixing machine, fertilizer mixing machine and ribbon type mixer machine. Blessed and supported by the team of adroit professionals, our company is considered as one of the eminent manufacturers & exporters of Mixer Blender. Manufactured as per international quality standards using quality raw materials, these blenders are known for their smooth function, durability and less maintenance. Our offered range of Mixer Blender is commonly used in various industries for mixing of free-flowing solids in granular or dry powder form. Moreover, clients can avail these blenders from us at market leading prices. 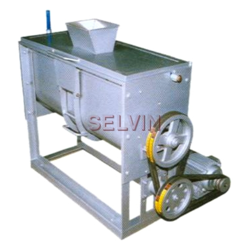 Leveraging on the vast experience of this domain, we are engaged in offering Cattle Feed Blending Machine. While manufacturing these Sievers, our professionals make sure that these products comply with the established norms of the industry. Also, these heaters are supervised at the production stages, so as to maintain higher quality standards and removes defects, if any. 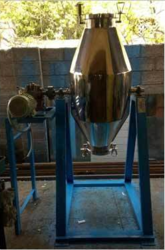 Bestowing on the skills and expertize of our professionals, we have been able to bring forth a comprehensive array of Chemical Mixing Machine. Being a client-centric organization, we fabricated it using ultra-grade raw material sourced from the well-established vendors of the market. Offered product stringently tested by our quality auditors on varied parameters and in different working environments. Bestowing on the skills and expertize of our professionals, we have been able to bring forth a comprehensive array of Fertilizer Mixing Machine. Being a client-centric organization, we fabricated it using ultra-grade raw material sourced from the well-established vendors of the market. Offered product stringently tested by our quality auditors on varied parameters and in different working environments. Established in the year 1975, we, Sree Valsa Engineering Company is engaged in the manufacturing and exporting of Ribbon Type Mixer Machine. We source quality raw materials from certified vendors of the market to manufacture these mixers as per international quality standards. 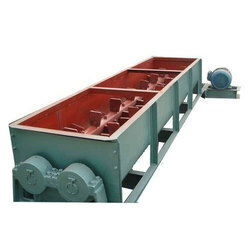 This machine is broadly used during the mixing of powder & dry granules. Appreciated for their smooth function, easy cleaning and negligible maintenance, clients can avail these mixers from us at feasible prices. Completely made out of food grade. Stainless steel cover, shaft & hands. Flour can be drawn with the help of handle. Looking for Ribbon Mixer ?